Nowadays, technology has evolved and we have online calendars. Having a calendar is going to help you safe time and manage the free time available. 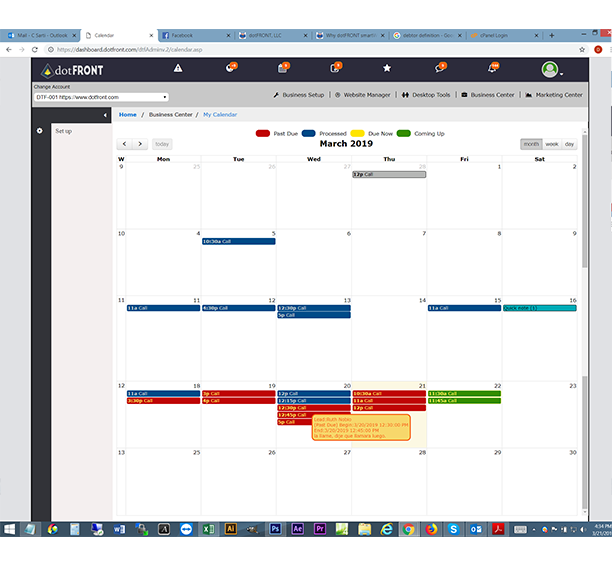 Our calendar feature is going to make it easier to keep track of your staff, compare availability for meetings, manage attandance, get reminders and updates and many more.